The weather’s warming up in Canada so if you’re tempted to hit the road with friends for a mini holiday, now’s the perfect time. Just make sure your car’s in great condition before your spontaneous road trip. While distracted driving can cause accidents and deaths, being distracted or negligent about your car’s safety can also lead to problems on the road. Before you leave for your trip, make sure you check these important things on your car to keep you and your passengers safe. Check out your tires and make sure they’re in good condition. The most important things to check for include any tears or bulges in the tires. Look for things that are stuck in the tire, such as nails or stones. You can remove stones, but if you hear a hissing sound when you pull a nail out of the tire, you need to get the hole repaired ASAP to prevent air leaks. Check your tire pressure every two weeks to ensure it’s filled with the right amount. The tire pressure number can be found near the fuel tank or inside the driver’s door panel. You never know when a problem will strike, such as a flat tire, so you need to ensure your boot is filled with important emergency items. These include an emergency kit, a flashlight, blanket, jumper cables, wheel removing tools (such as a lug wrench and jack stands), a spare tire that’s got the right tire pressure for your car, your car owner’s manual, reflective triangles to ensure that other drivers can see you when you’re on the side of the road at night, and comfortable walking shoes. This is especially the case for women – you never know when you’re going to have to walk away from your car to get help. Getting stuck in traffic during rush hour isn’t fun. Check the roads you’re going to use on Google maps before starting your trip – not while you drive as that is dangerous. Google maps are free and automatically updated to your smartphone device, which makes it very accessible instead of having to carry a car GPS that often requires you to manually update maps. These maps will help you see if there’s any bad traffic or accidents along your way that could cause you stress or waste your gas while you find alternate routes or get lost. Your windscreen wipers are really important to help you see during storms, which can be common during Canadian summers. Always make sure your windscreen wipers are working well to prevent accidents.They should be replaced once a year to keep them in top shape. A scary study found that only one car model out of 31had headlights that were considered “good” and it’s the Toyota Prius, in case you were wondering. No matter what your car model, though, you need to be sure that its headlights and other lights are working to the best of their ability. Before driving, sit in your car and check your front and rear lights, brake lights and indicators. Make sure that they all work so that you’ll be visible on the road. Your car’s engine oil should be at the right level to keep it running healthily. If there’s a problem with the oil, it can cost you lots of money to repair, so prevention is key. Checking the oil is easy for anyone to do. Simply pull out the oil dipstick and wipe the oil at the end of the stick on a tissue. The oil should be clear fluid on the tissue, not dark and/or thick. Put the dipstick back into the oil. Now when you pull it out, check the end of the stick to see the oil level. If the oil reaches the “full line” on the stick, that’s great. It’s a worry if it’s below the line as this can be a sign of oil leakage. A study by Allstate Canada Safe Driving found that the biggest cause of car accidents in 2015 was rear-ending, which showed that drivers were still driving too close to cars in front of them. Faulty breaks can make this a likelihood, so make sure you check your brakes regularly while driving. If your car takes too long to stop when you press the brakes, your car pulls to the left or right, you hear a grinding or whistling sound when you use the brakes, or you feel vibrations when braking, your brake pads or discs need to be repaired. Another possible problem is that your brake fluid needs to be changed. Any of these conditions need to be checked out by a mechanic. When last did you check your seatbelt? If it doesn’t feel like it latches properly or the material is looking worn, it’s important to get it fixed. Always wear your seatbelt and make your passengers wear theirs, too. This is non-negotiable as it can save your life in a collision. According to stats from 2015, out of 13 fatalities in the region of Newfoundland and Labrador, six of them could have been prevented if people had been wearing seatbelts, which just goes to show how important they are to your driving safety. 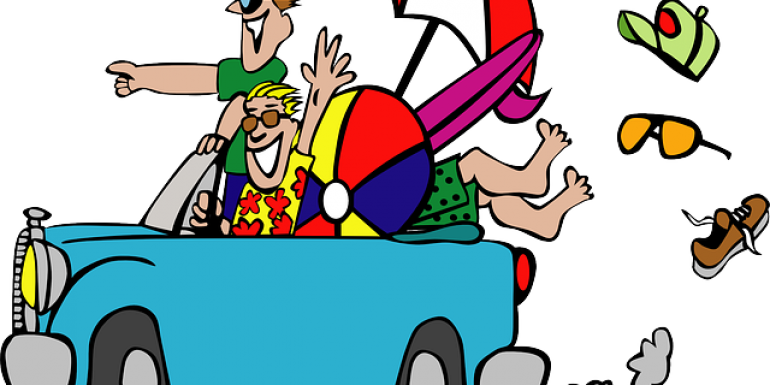 Having the freedom to take a car trip is exciting and fun, but it can also wind up in disaster. If your car’s not regularly checked for faults, you’re at risk of accidents and getting stuck on the side of the road. Do the above eight car checks before starting your journey and you’ll be able to prevent most of what could happen to you, while smiling as you drive into the sunset.